Our free parser will help you to parse sites on interesting queries in Bing, Google, Yahoo and Yandex search engines. These sites can be used for various tasks, such as white sheet in various links exchanges or for a direct exchange with related sites. Our SEO software can easily help you to check the search engine rankings of your site. 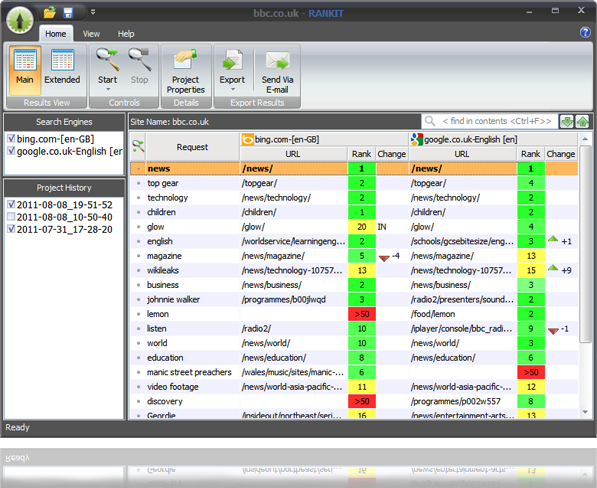 RANKIT works with all basic search engines such as: Yandex, Google, Yahoo and Bing. Our rank checker can really help saving your time. Let us do all your routine work. If you have a problem with downloading programs, run the speedtest. Also check our new random yes no decider.